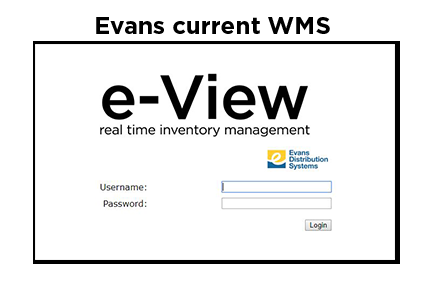 Evans Distribution Systems is supporting our commitment to technology and updating our warehouse management system (WMS). 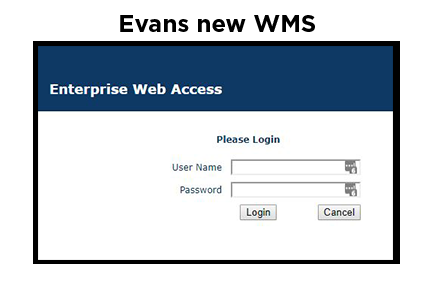 The new system has many great features including improved reporting and invoicing and it allows orders to be placed directly through the portal. We are excited to bring this new technology to you so that your experience with us is easier. We ask that you please be patient as we begin this process. Please use the screenshots below help you find the one you’re familiar with. If you’re unsure which system you’re on or have any questions, please reach out to sales@evansdist.com.